New Mexico Democratic Sen. Jeff Bingaman is expected to announce his retirement today, according to a source close to the decision, a move that further complicates his party's efforts to hold their Senate majority in 2012. Bingaman had been mulling whether to run for a sixth term for months and, if he had, would have almost certainly been re-elected. He told Senate Majority Leader Harry Reid of his decision to retire last night. His retirement, however, creates an open seat contest that both national parties will almost certainly target. Democrats should start the race with an edge, however, given President Obama's 15-point victory margin in the state in 2008. 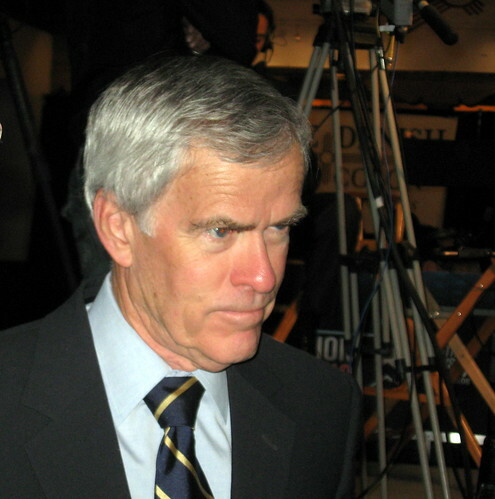 Bingaman is the fourth Democratic (or Democratic-aligned) Senator to announce that he will not run for re-election in 2012, joining Sens. Jim Webb (Va.), Joe Lieberman (I-Conn.) and Kent Conrad (N.D.) on the sidelines. Two Republicans -- Sens. Jon Kyl (Ariz.) and Kay Bailey Hutchison (Texas) -- are not running for new terms. Bingaman's spokeswoman just told me Bingaman plans to make an announcement in Albuquerque today. I guess Bingaman's retirement opens the seat up to some young elected officials like Hector's self.